Don't hold your breath for an international release. Yeah Oneechanbara Vortex was released on 360 in the US and EU. 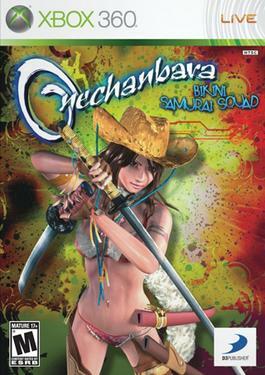 It was called Bikini Samurai Squad. There's also a really bad movie with the same name. I don't think Z or Z2 saw or will see foreign releases. Still waiting for the price to come down, i never understood why it is so expensive, should be a budget game. It was a budget game. The first 4 games were part of the Simple Series on PS2 and retailed for about 2000 yen or so. It was after they moved it to next gen with the 360/PS3 they got stupid with the prices. I think the reason the 2nd hand price doesn't drop quickly is simply because hardly anyone buys it, and those who do tend to be creepy fuckers who never resell.